Pacific Coast Highway Travel reviews an Olympic Peninsula Travel Guide published by the Beautiful Pacific Northwest website. The Olympic Peninsula is one of the most beautiful and stunning parts of the Pacific Coast Highway drive, and for many people it marks the start or end of the marvellous road trip along the USA's Pacific Coast. It's covered in depth on the Beautiful Pacific Northwest website, and now the publisher of that site, Karen Patry, has published her own comprehensive guide to the region, which includes the Olympic National Park. When we say comprehensive, we mean it. The guide runs to 287 pages and covers everything from hotel and restaurant recommendations to what to do if you ever encounter a bear. There's a wealth of wildlife features, which we certainly appreciated, covering such creatures as marmots, elk, and bald eagles. Another section describes the flowers you're likely to find, and there's a section trees too. 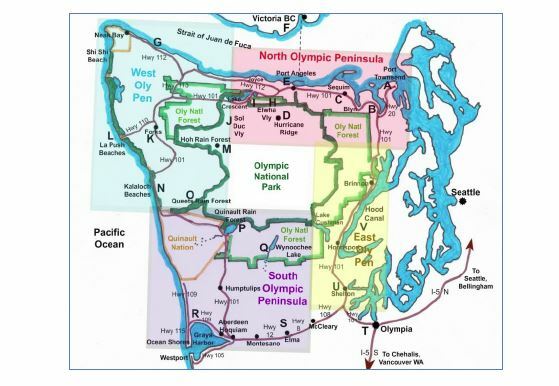 The travel guide begins with a lengthy and helpful section on planning your trip to the Olympic Peninsula. The author helps you plan trips from one day upwards, and depending on what interests you most. They're very practical plans, assessing how long different activities will take you to do, so they're realistic as to what you can actually fit into each day. 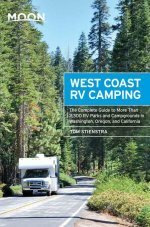 This is followed by a more detailed planning section, which includes chapters on such topics as the best time to visit the Olympic Peninsula, a list of festivals, where you'll find campgrounds, details on professional tour companies, and many other topics besides. Part Three then covers General Travel Information - maps, information centers, whether to rent an RV, airport car rental options, using the local ferries, and so on. Part Four is the main part of the Olympic Peninsula Travel Guide, with over 200 pages of detailed coverage on anywhere you're remotely likely to want to visit. 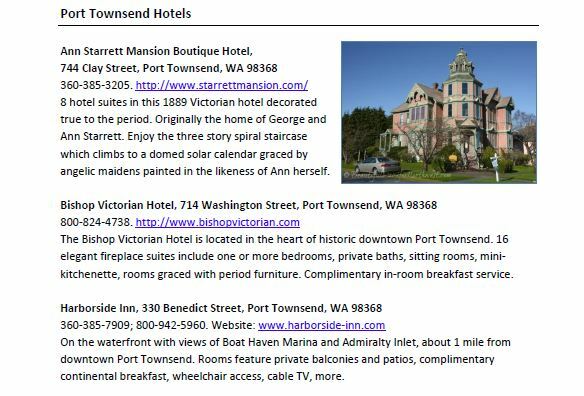 Popular places like Port Townsend get plenty of hotel and restaurant recommendations, for example. They're not lengthy write-ups but they're certainly enough to help you make your mind up, and they come with all the practical information you'll need, including opening hours. The attractions and activities in each place also get full coverage. For Forks, by way of an example, you also get weather coverage, the history of the area, what the town is like today, a piece about the lumber industry, and the town's Twilight tours. 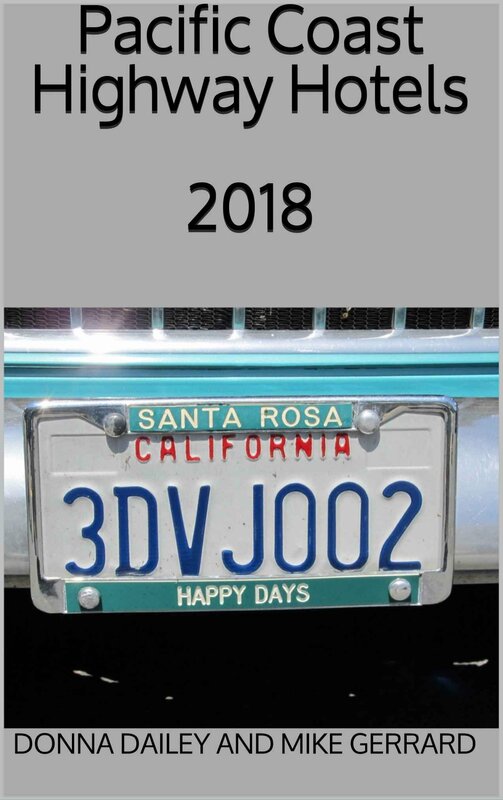 The writing is engaging and interesting, and if you're planning your PCH road trip then buying this book beforehand might just persuade you to linger a little longer in this exceptional part of the USA. Highly recommended. 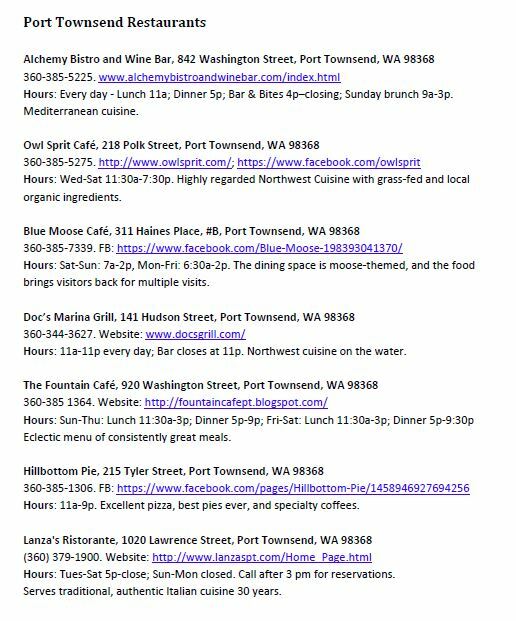 Moon Guide to the Olympic Peninsula.